Fazliddin Kurbanov, 36, pleaded guilty in March to one count of attempted murder of a federal officer. As part of his plea, Kurbanov admitted making and using a prison-made knife to attack the warden at the Federal Correctional Institute-II in Victorville on May 31, 2016, and attempting to slit his throat. The warden suffered serious injuries in the attack but has since recovered and now serves at another United States Bureau of Prisons facility. At Monday’s hearing, Kurbanov, speaking through an interpreter, told the court he was not sorry for his actions and that the victim was supposed to die. Kurbanov also expressed extreme animosity toward the United States. In handing down the maximum possible sentence for the attempted murder offense, United States District Judge Virginia A. Phillips noted the impact to the victim and his family, and she concluded Kurbanov remains an extreme danger. Judge Phillips ordered that today’s 20-year sentence run consecutively to the 25-year sentence imposed in the previous case and that he be on lifetime supervised release once he completes the prison terms. The investigation into the attack on the warden was conducted by the Federal Bureau of Investigation and prosecuted by the National Security Division of the United States Attorney’s Office. And as far I’m concerned, there are no “religions of peace”. Atheists are NOT religious. They believe in reality, not talking snakes in the Bible. And I believe that atheists are much more peaceful than religious people. Talking snakes are ok, but the baby heads with wings flying around would be cute as all getup if it was real. Sort of like the dinosaur stories in the bible, the one with the brontosaurus with a thorn in it’s paw. He only came for a better life, lol. 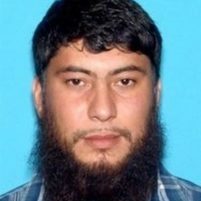 Hopefully, those who read this story will get a better idea of why President Trump initiated the Muslim travel ban, and Fazliddin Kurbanov is a great example of why we want to limit immigration and develop proper vetting for those who would come to the USA. I personally would have preferred that the sentence for attacks on federal prison officials be the death penalty, and I resent having to help pay for this creep to have three hots and a cot at our expense. Please do research on this so-called religion of peace. Ahhhhh yes….more from the religion of Peace.